When most people think of macrame, they picture the fruits of the textile technique's surge in popularity during the '70s — contraptions for hanging-plants and glass tabletops, multi-tiered lampshades, and belts, bags, and other accessories favored by bohemian types. While macrame fits right in with other trends from the era — a boiling hot fondue pot is best set on top of a macrame doily, obvs — its origins stretch back thousands of years and across oceans. Many believe the term "macrame" comes from the Arabic word migramah, or "fringe." The first known "macrameers," were 13th century Arabic weavers, who began tying decorative knots to secure the loose ends of woven textiles, like towels and shawls. 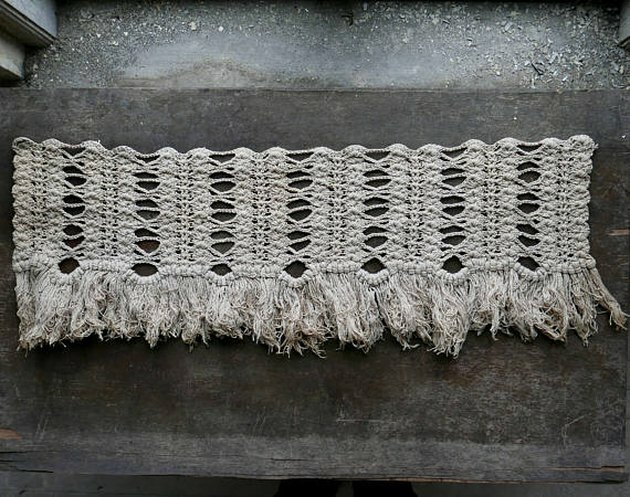 (Others think the term stems from the Turkish word makrama, referring to napkins and towels which utilized the knotting technique in a similar fashion.) Regardless of where and when macrame got its name, the technique is really as old as its fundamental structure: the knot, which has a seemingly infinite number of variations, countless practical uses, and has caused an untold number of headaches when left to its own devices. 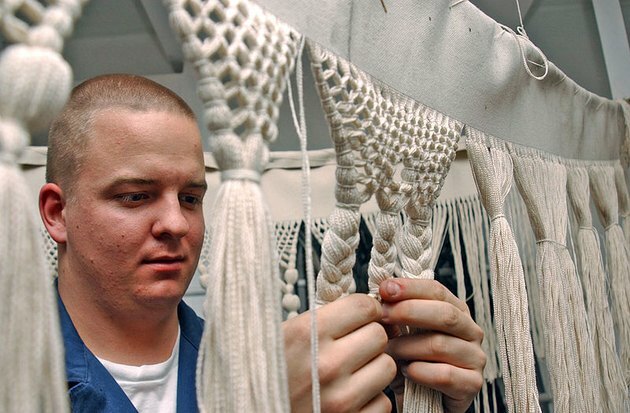 Macrame, like many fiber crafts, is predominantly favored by women these days, but some of the most prolific and influential macrameers were men — sailors, to be more specific. Already familiar with the usefulness of the basic reef knot (or square knot) and the strength of various hitch knots for securing sails and loading cargo with ropes, the earliest maritime explorers discovered knot-tying could ease their boredom, too. Often at sea for months on end, these sailors began tying and combining more complex knots into decorative patterns with occasional practical uses, like bell pulls and rope ladders. When the ships would dock at various ports, the sailors would sometimes sell or barter their work, and the art of macrame — and the popularization of nautical materials, like rope and twine — began to spread to other countries, including China and what was then known as "The New World." Vintage Victorian crochet with macrame fringe. Sailors weren't the only macrame evangelists. The Moors introduced the Arabic knot-tying technique to Spain, which they occupied up until the 15th century, and it eventually made its way to France and Italy. In the 17th century, Queen Mary II of England taught her ladies-in-waiting how to macrame; nearly 200 years later, during the reign of Queen Victoria and the accordingly named Victorian Era, the art form was all the rage. Macrame details decorated everything from table linens to curtains to bed spreads, and was a popular hobby for women of the era. 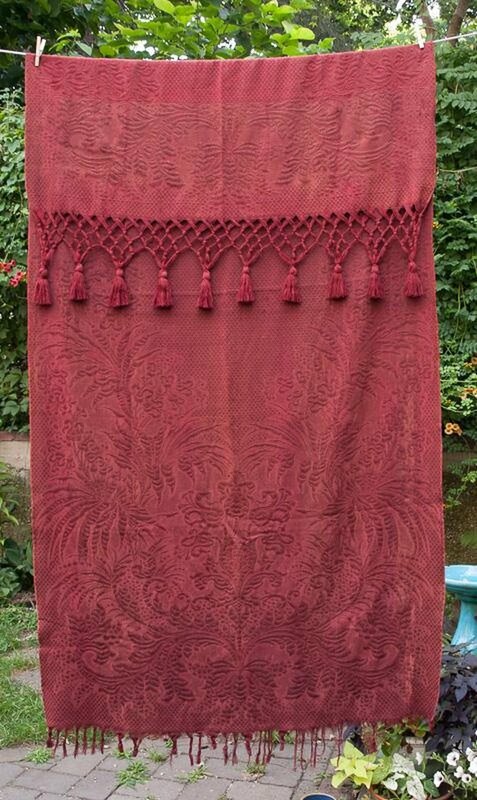 Vintage Victorian window curtain with macrame fringe. Macrame's popularity faded in the early 1900s, and while it didn't disappear entirely, the craft became much more obscure both in goods and practice for over half a century. Then, in the 1970s, people suddenly went nuts for knots again. A page from a 1970s macrame pattern book called "Now Fashions in Macrame." Macrame's comeback at the start of the feminist movement reflected a broader cultural dichotomy — on one hand, many of these women were bucking traditional gender expectations like marriage and motherhood in pursuit of empowered autonomy and its financial and sexual freedoms; on the other hand, in their spare time, they were reviving a craft that reached peak popularity during an era known for its rigid morals, prudishness, and conservatism. Only, their approach to the craft was wild, over-the-top, uninhibited, and grandiose. In the 1970s, just about everything you could imagine could be and was made from macramé. 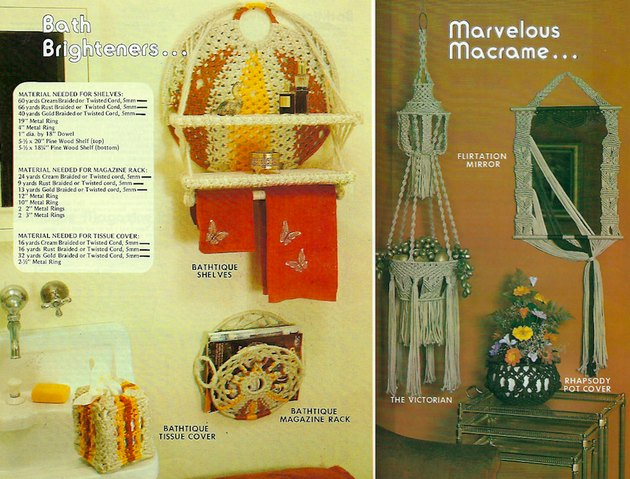 Vintage "Macrame for Everyday Living" pattern book. The biggest macrame trend of the era was, well, a total hoot. The history of the macrame owl, one of the craft's more ubiquitous and ridiculous representations, is a bit mysterious. Owls were a popular theme in '70s home decor, and the trend may be linked to the U.S. Forest Service's decision, in 1971, to name Woodsy Owl as their mascot. The character wore a Robin Hood-esque green cap with a red feather and encouraged people to "Give a hoot, don't pollute!" Owls are also considered mystical creatures in many cultures, symbolizing wisdom and delivering good luck; they are among the most powerful animals in Feng Shui, the ancient Chinese practice that claims to use energy forces to create harmony between humans and their environments. Feng Shui became super marketable in the U.S. after President Richard Nixon's famous trip to China in 1972, and it was ripe material for the growing New Age movement. There's no actual data to support this, but it seems like a safe bet that a Venn diagram of New Age Feng Shui enthusiasts, Woodsy Owl conservationists, and artsy-fartsy macrameers would have a good amount of overlap. 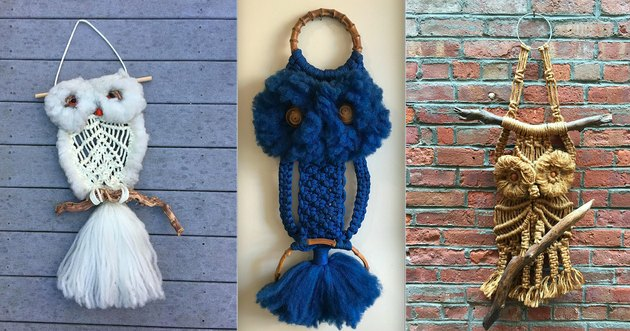 A small sampling of the vintage macrame owls available on Etsy. By 1977, the Los Angeles Times's former Home magazine was not only touting the macrame owl as THE must-have home decor item, but also selling a DIY kit for $7.95. When macrame went out of style again in the early '80s, thousands of once-treasured macrame owls were abandoned. The survivors can still be found in thrift stores and on Etsy, looking just as silly as the day they were formed. 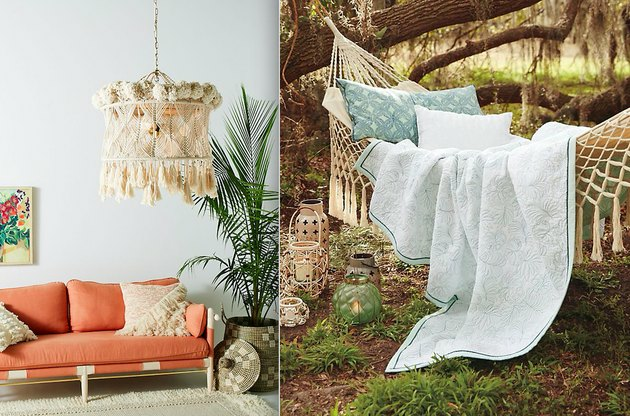 Macrame chandelier ($598) and hammock ($128) from Anthropologie. 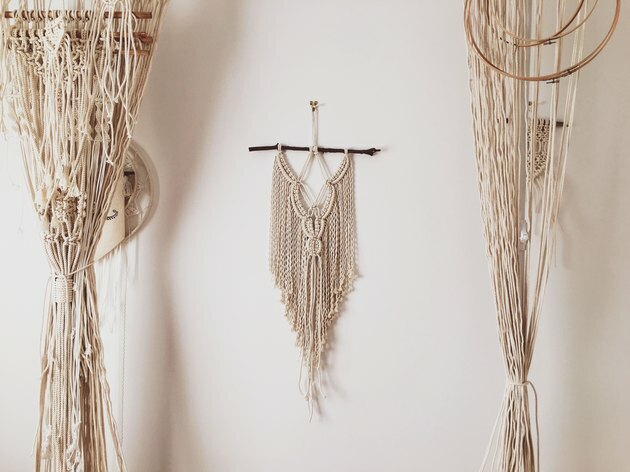 Macrame all but disappeared as a home decor trend during the '80s, '90s, and '00s, but over the last five years the craft has been making a steady comeback. Modern bohemianism not only encompasses fashion and home decor, but an entire lifestyle focused on personal growth, spiritual development, and the importance, particularly for women, of practicing "self-care." 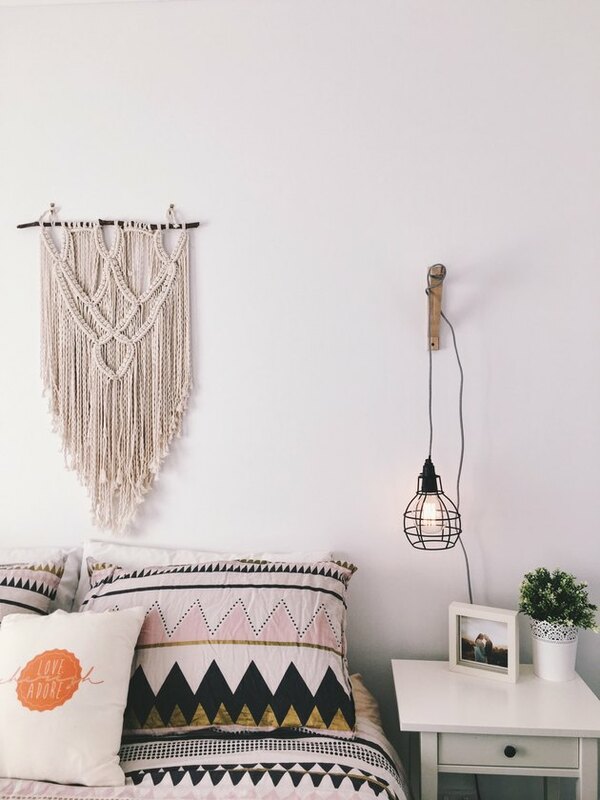 Hobbies with a feminine tradition, including fiber arts like macrame, have sparked their interest; thanks to Instagram, Etsy, Pinterest, and other social and e-commerce sites, modern macrame is a global trend that is knot going anywhere anytime soon.